With mobile phones increasing their reach to each and every corner of the earth and text messaging, generally known as SMS has become the famous method of communication. As SMS is being popular, new kinds of messaging services are coming out to fulfill the need of people. Currently, bulk SMS is setting a new trend among the entrepreneurs as it allows them to send bulk SMS to thousands of recipients fast and effectively. This type of service is now used by different types of companies to reach to a large number of people. MSG91, Smart Messaging Service is all about sending messages, whether it is through SMS or voice. It is one of the best bulk SMS service providers in India. We can easily find the authenticity of MSG91 as it is an ISO 27001 certified company. With over 6 years of industry experience they are delivering SMSs in 90+ countries around the globe with guaranteed delivery and unmatched speed. MSG91’s smart algorithm ensures the delivery of SMS within 10 seconds. To ensure 100% SMS delivery rate MSG91 paying 5 times of actual cost as they are having features like backup servers, automated operator switching, in case of any delay they send voice message to users on their own cost, proper security etc. These features lead them ahead from the curve to the number one position. MSG91 has features such as robust infra, gatekeeper servers, smart tracking, valuable pricing, varied addons, safeguarding privacy and unique algorithm, which makes it different from other service providers. MSG91 has renowned clients like Barista, Talwarkar’s Gym, metLife, and a few other PSUs. Recently, this biggest player of bulk SMS industry has acquired renowned SMS provider Tosms. With this acquisition MSG91 become the giant player of the messaging industry. They are continuously spreading their roots for getting worldwide coverage. MSG91, SMS API can help you to send automated bulk SMS directly from platform. SMS API by MSG91 is easily configurable, available in all computer languages, just short code to be integrated. 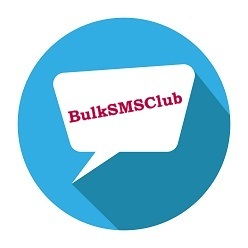 Bulk SMS Club provides its clients with bulk transactional SMS and bulk promotional SMS with very quick delivery. You can send transactional SMS within seconds including the DND numbers. Advertising your brand and services is now an essential part of marketing plan in India. Bulk SMS Club is one of the best promotional SMS service providers in India that offers you wonderful features are composed of liberty to send promotional SMS services from anywhere and at any time with the internet connection at very affordable cost. Voice SMS platform of Bulk SMS Club is well matched with a big set of incorporated highlights, which are completely personalized as per customers need, bulk voice SMS broadcasting, quick response to bulk voice broadcasting, mobile number separation and VoiceSMS services in India. Bulk24SMS is a predetermined place for sending bulk SMS. Bulk24SMS offers Bulk SMS software that allows you to send SMS straightforwardly at very low cost. This company’s software is made up of different beneficial features offering quickest and accessible bulk SMS service. Services of Bulk24SMS allow you to connect with people all over India. You can have a broad range of reach with anyone from anywhere at just a single click. Bulk24SMS offers high performance and the best bulk messaging solution to its clients. BulkSMS.pro is a comprehensive Bulk SMS solution offering company made for small, medium or large organizations. This central Indian based bulk SMS provider company can help you in to grow your business in minimum spending. By using services of BulkSMS.pro, you can endorse your business anywhere across India and out of India. BulkSMS.pro provides its clients with the quickest and most effective way of sending your messages across a big group of people. 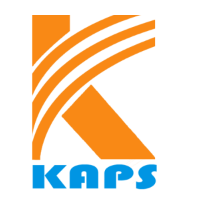 Kapsystem is bulk SMS service provider that offers complete and personalized end-to-end SMS marketing solutions. It provides quality work and on time delivery. Kapsystem is a famous name for Bulk SMS service in India. This company provides a range of personalized solutions that allow entrepreneurs, businesses, non-profit organizations to interact with their present and prospective clients. Therefore, using bulk SMS service providers with SMS API helps entrepreneurs in reaching out to the targeted customers at their suitable time thereby leaving a positive impact. With an ever-increasing number of mobile phone users, this method of marketing will be seen as valuable method in the near future. I hope these Top 5 Bulk SMS service provider in India will be helpful in finding out the best solution as per your business needs.